United Arab Emirates aluminium producer Emirates Global Aluminium was awarded for its commitment to innovation by the American Society for Quality (ASQ) last week. 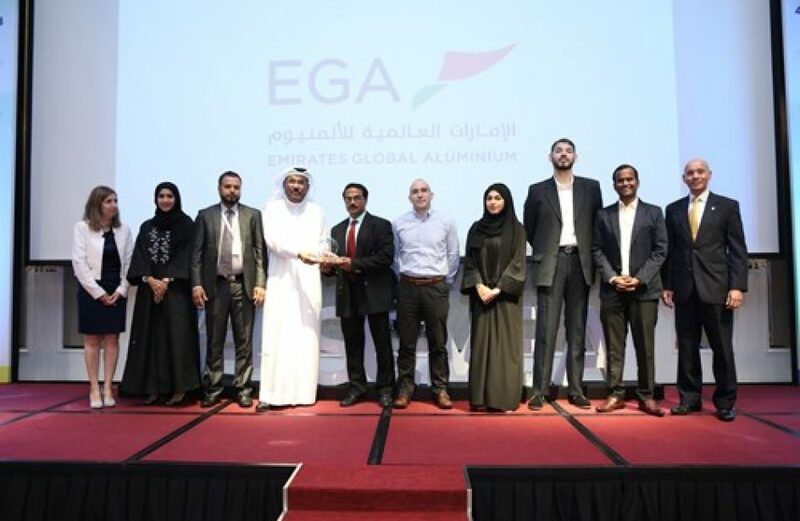 EGA was given the 2018 ASQ MEA Innovation Award for the Government Sector during ASQ’s 4th Regional Quality Conference, which was held last week in Dubai. ASQ highlighted EGA’s commitment to innovation, partnerships the firm has cultivated to foster such innovation, and the firm’s Innovation Management System, which has been a mechanism for employees to suggest improvements in place for almost four decades. Salman Abdulla, Executive Vice President HSSEQ at EGA, said the award is proof positive of the firm’s steadfast commitment to innovation. Among the biggest initiatives dedicated to innovation that EGA operates is its Innovation Management System. Since its debut in 1981, suggestions made by EGA employees have saved the firm over AED36 million. Last year alone the system received over 34,000 suggestions for improvements from EGA employees. Additionally, EGA has established relationships with several institutions both domestically and abroad to investigate methods for increasing operational efficiency. The firm has established such partnerships with UAE institutions including the Masdar Institute, the American University of Sharjah, and Higher Colleges of Technology, and with overseas institutions including the University of Auckland, the University of New South Wales, and the Massachusetts Institute of Technology.